Have you ever been called on in class when you had absolutely no idea what was going on? 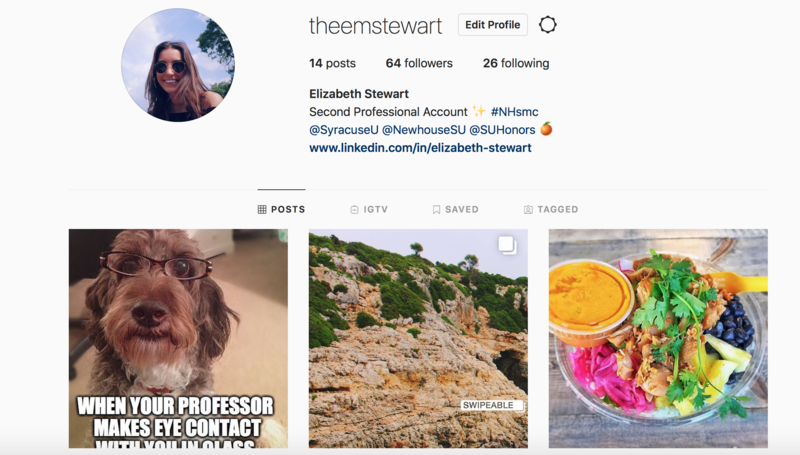 My meme incorporated college humor and the worlds’ love of dogs to create the #StudiousDog campaign. I believed that this meme would garner engagement because twitter analytics has shown me that many of my followers are college students who heavily engage with content that includes dogs. Furthermore, it’s widely relatable to large audiences who could drive the meme’s virality! Garner at least 500 views on Imgur. Increase Twitter following by 5 or more followers. 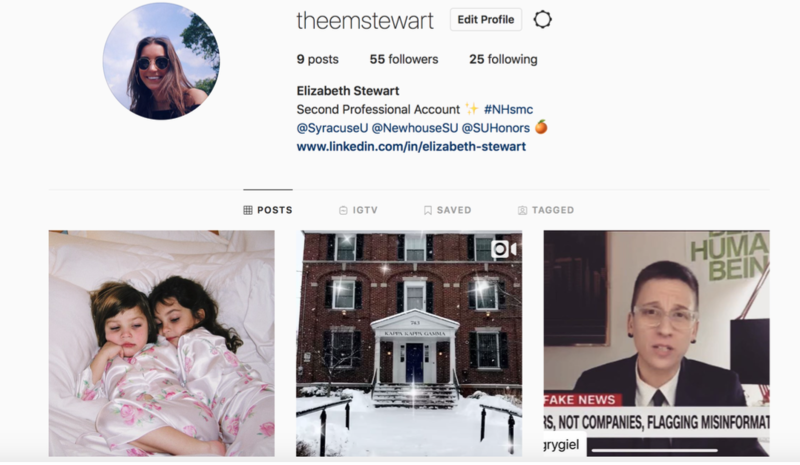 Increase Instagram following by 5 or more followers. With my SMART goals in place, I was able to track and measure the success of my campaign. To promote my meme, I utilized Twitter Ads to conduct a $5 campaign running from November 5th through November 12th. I began by posting the original meme I created on Imgur, shared my Twitter webcard, and continued by following my editorial calendar which incorporated all of my social media accounts (Facebook, Instagram, Twitter, Snapchat). As you can see, utilizing both college humor and dog lover communities to promote my meme, I recieved 357 Twitter impressions the first day of the campaign and 193 the second day, totaling 550 impressions. If I could do anything differently, I would limit my daily budget to a lower amount so that the promotions of the webcard would be more spaced out throughout the week. This could potentially allow me to garner more engagement and impressions over the entire week of the campaign rather than just the first two days. Nevertheless, I still stand by the target audiences I chose to generate exposure for my meme. Overall, I am very pleased with the fact that I exceeded all three of my objectives. I not only garnered over 500 views on Imgur, but I also increased my Twitter and Instagram follower base. For me, gaining these followers is especially important as I continue to create and publish content and I look forward to continue growing my immediate social networks. Also, more followers allow for more opportunities for engagements and clicks. As I said earlier, I would have definitely changed my daily budget on Twitter Ads so that the length of the campaign stretched longer than just the two days it took to spend my $5.00 budget. Nevertheless, I am still happy about the twitter audience communities I chose (college humor and dog lover / dog accounts) to promote my meme. The biggest takeaway I have from this experience is that, while it was fairly easy for me to receive over 500 views on Imgur, making something go viral is extremely hard. Considering the fact that I shared my meme on all of my social platforms like Facebook, Snapchat and Instagram, I was surprised that I didn’t get more views on Imgur. While I’m still pleased with myself for surpassing my goal of 500 views, I genuinely think that sharing the meme to Imgur with the tags #Dog #College #Funny #Pet #Professor and #Meme was what propelled the majority of the success of my meme. The great thing about this meme is that it is incredibly relatable and timeless so it still has the potential to reach more audiences and garner more impressions if I were to really strive to make it go viral.